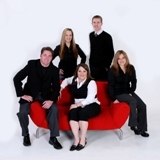 Lincoln, Nebraska Real Estate Market: The Korn Team Celebrates its 1 year Anniv. The Korn Team Celebrates its 1 year Anniv. As of Aug. 1st 2007 The Korn Team has officially been in Lincoln, Ne real estate for 1 yr. Although it has been a fun and rewarding first year in Lincoln, Ne I must say that it did not come without bumps in the road. The Korn Team reached $1 million in sales volume in its first full year here in Lincoln. We've managed to help 10 families with one of the most important transaction of their life. For that, I feel good about what we have done. I personally want to thank all of our clients. All of you have been a blessing to work with. I also want to thank all of those who sent referrals our way. Referrals in real estate are like pots of gold at the end of the rainbow. So, thank you to everyone who has supported The Korn Team in its first year in Lincoln, NE! 402-436-3379. Tell us how to contact them and we will call them on your behalf! Real estate transactions are detailed and can be very stressful. Our job as agents is to educate our clients and help them through every step of the process in order to make it an enjoyable event. There is nothing better in my mind then going home at the end of the day knowing that I helped someone achieve one of their dreams of homeownership. In closing I just want to again say thank you to all of you have supported The Korn Team in Lincoln, Ne. Let our experience and aggressive marketing techniques work for you. You will not be disappointed! Have a great year and... GO KORN TEAM!!!!! !